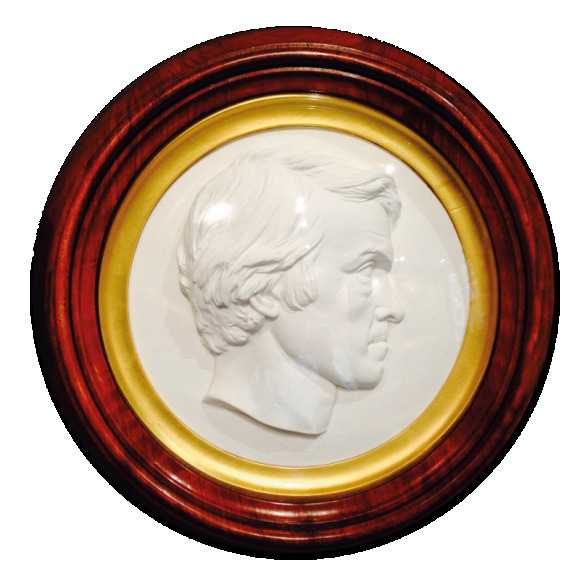 Woolner is recorded as working on two medallion portraits of Carlyle, the first in 1851, the second in 1855. 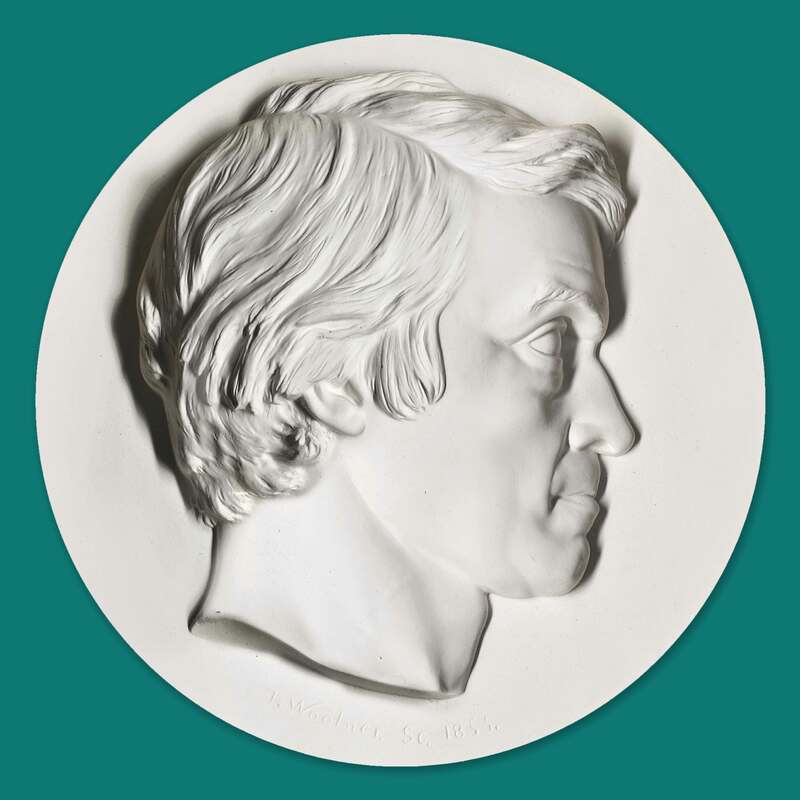 The sittings were arranged for Woolner by the poet Coventry Patmore and in May 1851 Carlyle wrote to Woolner to tell him that “The Medallion is favourably hung up; and excites the approbation of a discerning public - as it deserves to do”. The second medallion of 1855 appears to be a re-working of the first and not taken from a second sitting from Carlyle, who by that time had grown a beard. In a letter to W Bell Scott in 1855 Woolner wrote : “I have made a new one of him (Tennyson), much better than the last; also a new Carlyle, better than the old one”. This present example, dated 1855, will be from this re-working. 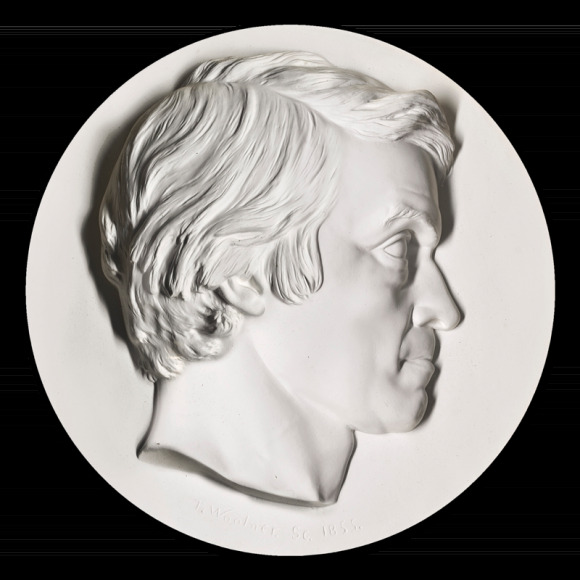 Woolner exhibited a “Medallion of Thomas Carlyle Esq.” at the Royal Academy in 1852, which can be assumed to be the 1851 work. 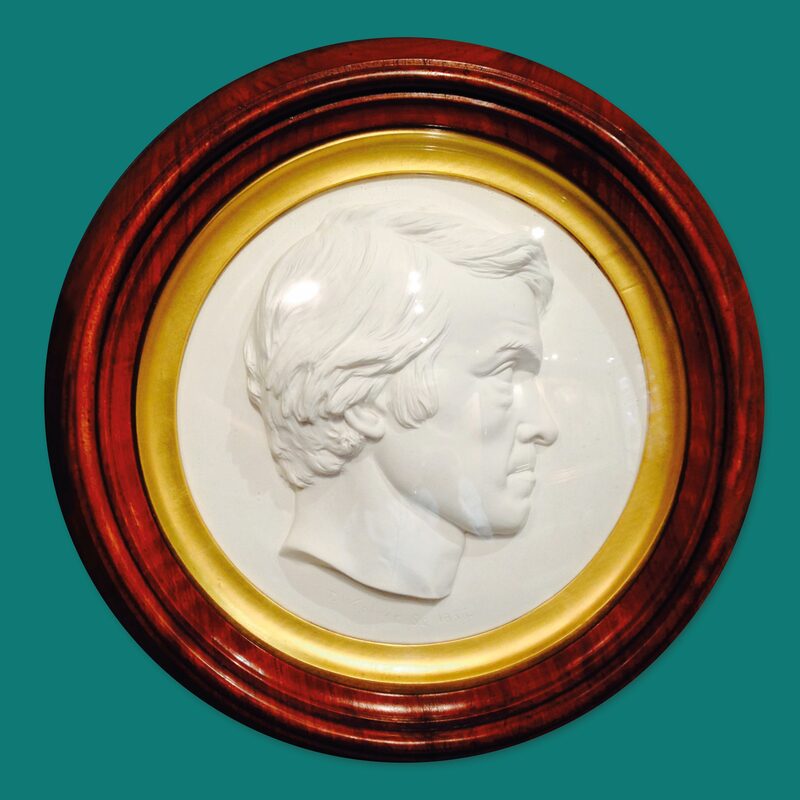 In 1856 he again exhibited “Thomas Carlyle Esq.” , which can be assumed to be an example of his 1855 medallion. In 1857 at the RA he exhibits “Thomas Carlyle Esq. bronze medallion”, exhibiting a bronze medallion of Tennyson that same year. One passed through Sotheby’s paired with a Tennyson in 1995. J.A. Froude, Carlyle's biographer, considered this fine medallion portrait of Carlyle, executed in 1855, to be 'by far the best likeness of him in the days of his strength'. Carlyle also sat for a portrait by Samuel Laurence (1812-1884), who formerly owned the present medallion. Horace Pym recounts in Odds and Ends at Foxwold that the present medallion portrait was given by Thomas Woolner to Samuel Laurence who kept it for the rest of his life. It was at the Laurence sale that Pym purchased it. It was later bought in 1996 by Roy Davids, who built up an impressive collection of paintings relating to literary figures. It was sold by him in 2005. This medallion portrait is usually to be found in bronze casts; the definition is sharper in plaster. Aside from his status in the literary world, Carlyle is of great importance in any collection of portraits: it was his influence that led to the founding of the National Portrait Gallery in London in 1856, and subsequently, after his death, to the creation of a Scottish National Portrait Gallery in 1889.